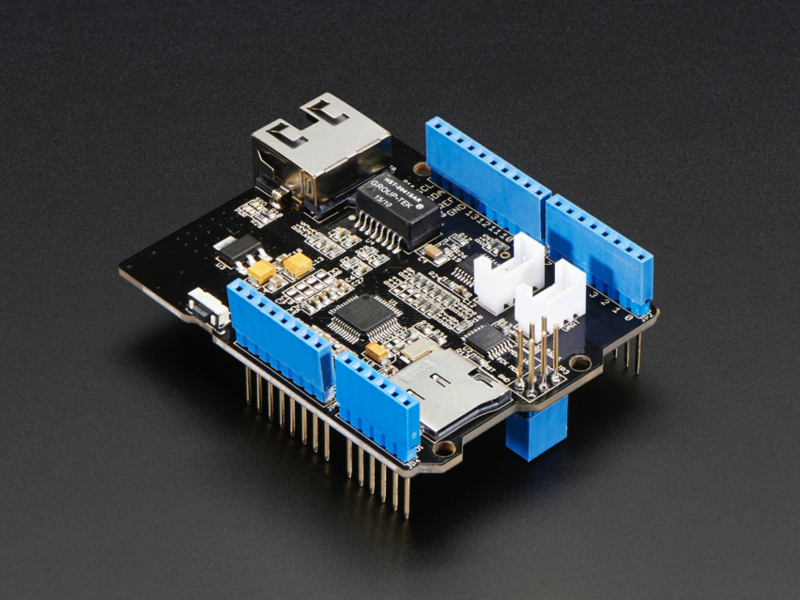 NEW PRODUCT – Ethernet Shield for Arduino – W5500 Chipset « Adafruit Industries – Makers, hackers, artists, designers and engineers! 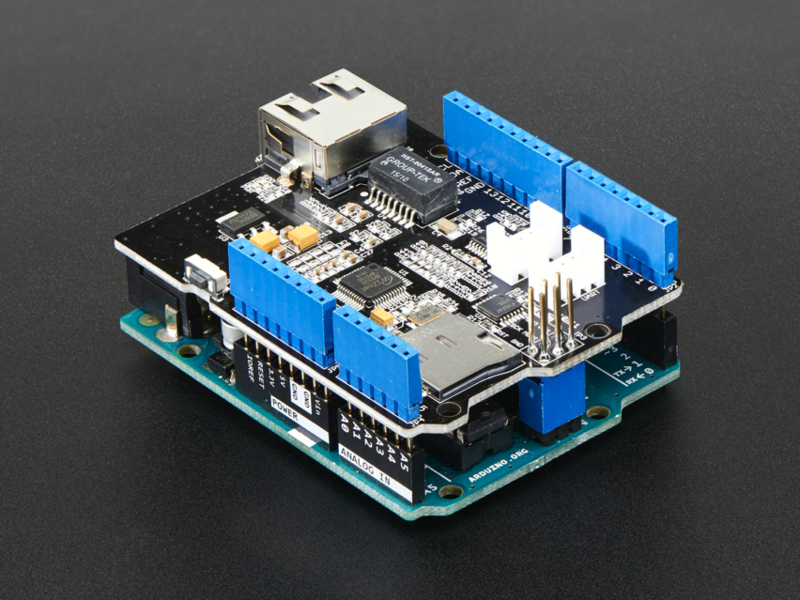 The W5500 Ethernet Shield for Arduino from Seeed Studio is a great way to set up your projects with internet connectivity with just a single chip. 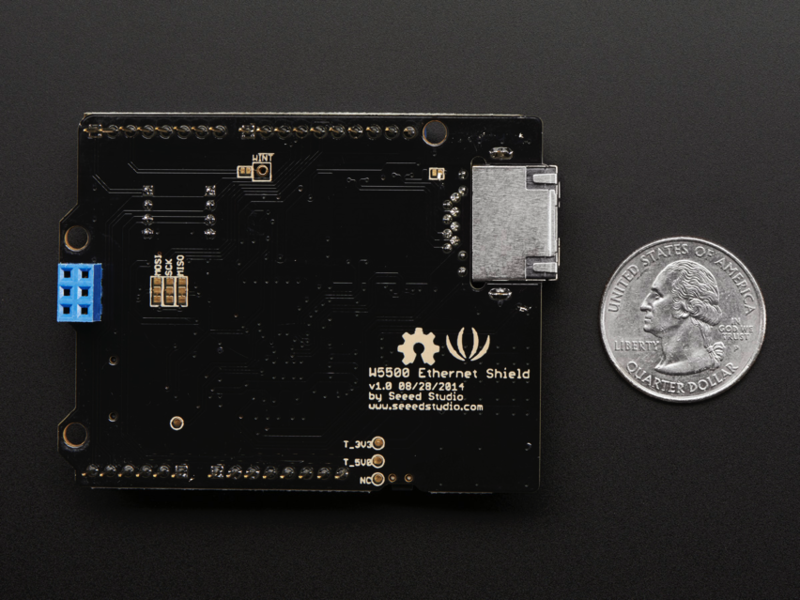 Similar to the Arduino Ethernet Shield, but with a newer chipset, this ethernet shield supports both TCP and IP Protocols in TCP, UDB, ICMP, IPv4, ARP, IGMP, and PPoE format. The RJ45 ethernet port is also low enough so you can stack nothera shield on top of it. 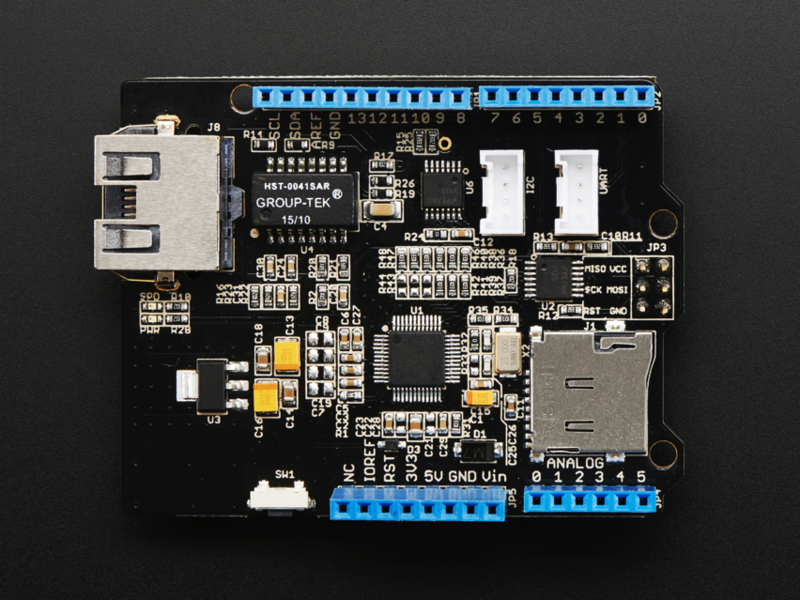 The board includes a microSD card holder and has a working voltage of 5V. It also requires an Arduino to use – either Uno or Mega – to use. To learn more about this ethernet shield, check out the Seeedstudio Wiki. We recommend this library fork with the shield, its just like the original Ethernet library but with W5500-chip support!